It was always unlikely, and now it’s been confirmed. 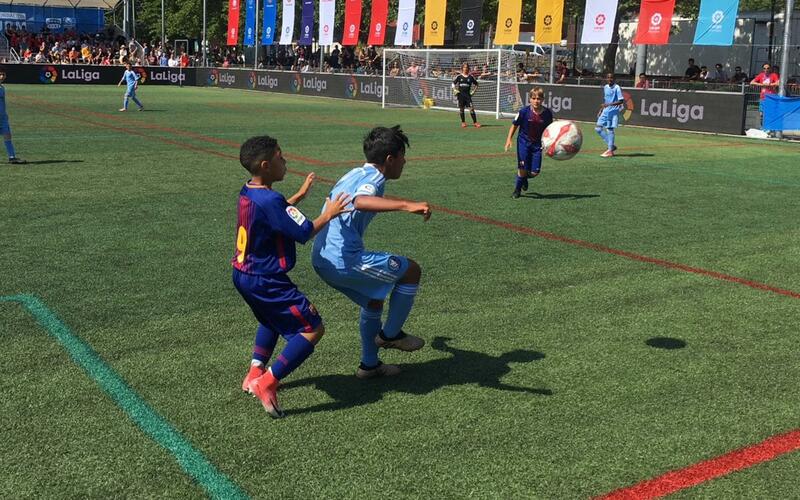 The U12 team, their destiny out of their hands, are out of the LaLiga Promises International Tournament after a frankly dull game with New York City ended 0-0. Tiredness looked to be setting in to the defending champions, who had a long journey to get to the tournament, and they now go into the consolation competition, which they opened with a 6-0 routing of Club América of Mexico with goals from Ianis (2), Quiles (2), Héctor and Pau. Next up is Villarreal in the quarter finals. They weren’t alone in New York. Marc Serra’s side was supported all the way by the players and families from Barça Academy Pro NY and members of the Penya FC Barcelona New York who made their way to Sinatra Park Soccer Field to cheer on the lads. The boys also got to visit the club offices in Manhattan, where they took plenty of pictures and got a first-hand glimpse of the work that the club is doing Stateside.